There is a deposit of £100, payable on booking. Final payments are due 6 weeks before the holiday. Cancellations will result in loss of deposit. Change-over day is Saturday. We accept cheques and online banking. Please note that our availability and pricing page is up to date, so please check this before enquiring. We don't do less than 7 day breaks, Saturday to Saturday. 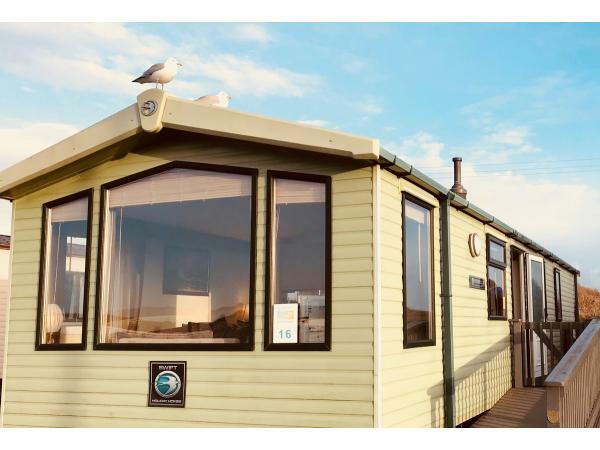 This model of caravan has been used in Haven brochures to demonstrate their luxury holiday caravans at Perran Sands Holiday Park. Check Haven's prices, discounts and photos, then check our hire prices for a bargain! Passes for Perran Sands and holiday insurance are not compulsory and so not included, thus keeping prices even lower for those not requiring them. Our prices are clear, no confusing hit and miss discounts, please see the availability calendar for weekly prices. 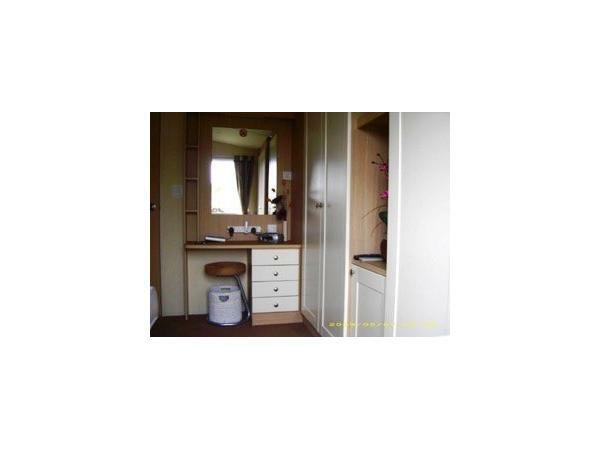 This Moselle Platinum level caravan for hire has lots of extras not found in most other levels. 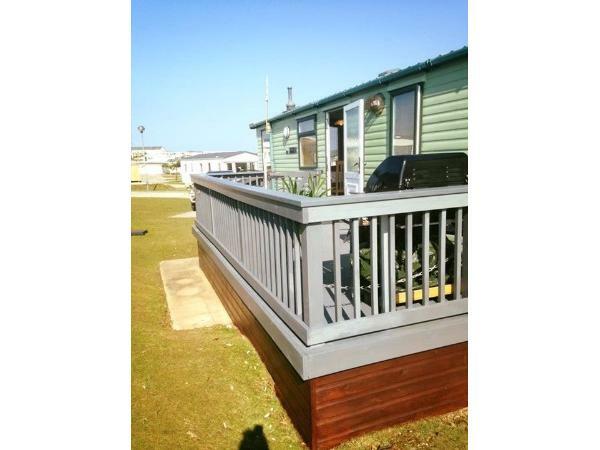 It is one of the highest standard caravans let by Haven themselves at Perran Sands. The decking area has comfortable furniture and gentle lighting for long evenings. Located in The Fairings area of the park, the situation is ideal, being far enough away from the club facilities to be peaceful, yet near to the fresh bakery and shops (about 150m). There are the soft short grassy areas at the rear and sides for children to play, and an enclosed decking area. This location is much more sheltered from the sea winds which can extend your outdoor activity times. Unlike many caravans we are well spaced apart and have masses of safe space for kids to play outside. There are lots of indoor extras to enjoy, from the large LED 3D TV Sky+ HD, and DVD in the lounge, LCD digital TV/DVD in both bedrooms. The lounge has the full Sky pack i.e Sports, movies, documentaries etc... ideal for evenings or occasional wet days. In the kitchen there are all the utensils and gadgets you need to create wonderful meals. There are basic packet items of tea, coffee and sugar to start you off. In the lounge there are helpful maps and books on where to go, or simply read if you wish to chill out. This is all to give you that "at home" feeling. The family shower room is opposite the second bedroom. 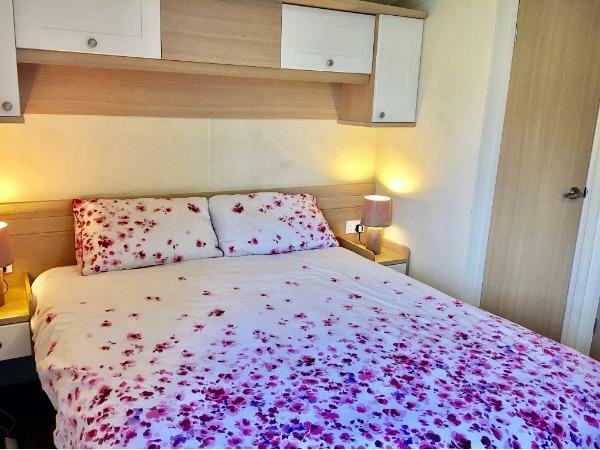 The master bedroom is the biggest you will get in any brand caravan, with space for a cot (available to hire on site) and it's own separate en-suite toilet, lots of storage space and fully glazed stable door opening onto secluded dunes. There is an iron/ironing board, and a hair dryer. Piped gas ensures uninterrupted usage of the full central heating. There are lots of books, puzzles, jigsaws, games and toys indoors for "rest days" in the lift up corner unit near the front window. Additional Info: Heated indoor and outdoor pools with flumes, Aquagliders, AquaJets, Learn2Swim, Pool Kayaking. Adventure Golf. Evening Cabaret, various activities for children of all ages. See the Haven Perran Sands website for more details. Fish n chip restaurant. Pizza delivery to your caravan, fresh bread bakery, toy and leisure shops, well stocked licensed general store, outdoor children's play areas, games room, and pool table, New Surf Bar open to all, varied menu, very big on atmosphere! Lots more.... see the Haven Perran Sands website for more details. 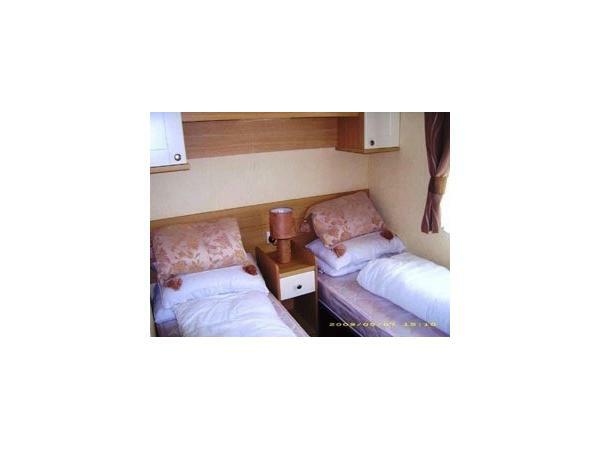 Wonderful stay - the caravan is very spacious and comfortable, and very clean throughout. The outdoor seating area is great with plenty of space for everyone, the owners have thought of lots of extra touches to make your stay even more relaxing including maps and guides of the area, Sky tv with sports and movies in the bedroom as well as the lounge area, and everything you could need in the kitchen plus plenty of tea and coffee! The caravan was always very warm and cosy, we’ll certainly be returning. Travelled down as a family of 4 with 2 young children. The caravan is perfectly situated on the site and great access to Perranporth, especially the beach. The facilities in the caravan are to a veryhigh spec (TV/Sky) & comfort (sofa/beds). Will definitely return for another stay. The grandchildren loved the caravan and playing in the dunes behind. The kitchen was extremely well equipped. Great to have a good frying pan for the bacon sarnies. The heating and the movies were a bonus on chillier evenings. Than you Mike and Vicki for a fab week. Thanks so much for a lovely review Mandy, we're really glad you enjoyed the caravan. Hope to see you again some time! Brilliant holiday as always at this caravan, we have been back lots of times and Vicki and Mike are so helpful and willing to do whatever is required to make your holiday as smooth as possible. Great size master bedroom and bed! Kids love this caravan as it backs on to the sand dunes and they love playing in them. The BBQ is great for outdoor eating, especially with the decking. Sky TV is always a bonus for rainy days - we recorded a few kids films to keep them occupied. Would recommend. Thanks so much for a lovely review Katrina, hope to welcome you back to the caravan soon! We had a fantastic week staying in the caravan. Very spacious and comfortable, biggest master bedroom we've stayed in. 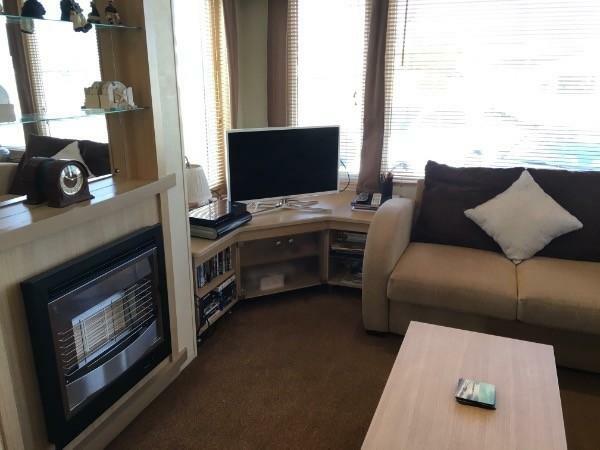 Offers lots of facilities such as BBQ, televisions in all rooms, Sky TV in living room, central heating, full size fridge freezer and children toys. 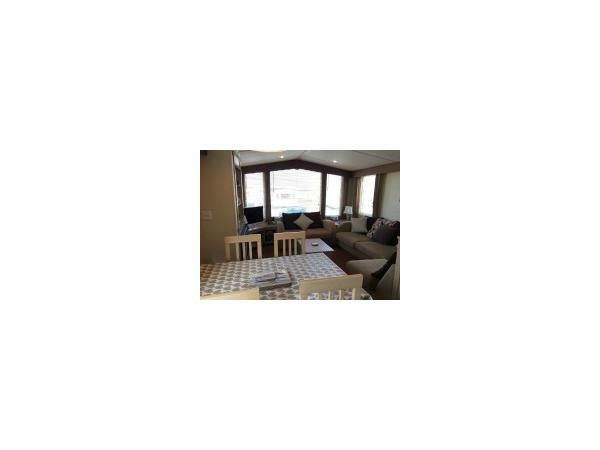 Caravan located in a great spot on the site, located to main amenities. Owners really friendly and helpful throughout booking. A really lovely caravan and would certainly recommend!! Thank you for the lovely review and ratings! You are welcome back anytime! A lovely Easter break, my children loved the sky tv that kept them amused. Beds very comfortable, master bedroom very spacious with added luxury of tv's in bedroom. Would highly reccommend and look forward to booking again next year. Hopefully the weather will be better so that we can use the BBQ. Thanks for a lovely review Victoria, we're so glad you and your family enjoyed the caravan. We look forward to having you back again soon! This was our first time staying in this caravan and it was fantastic. 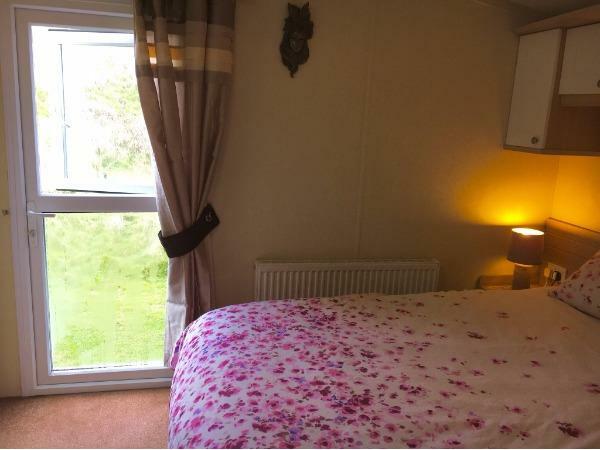 The caravan was incredibly spacious, really well maintained, had lots of fantastic features such as the sky TV package, full central heating, full sized fridge/freezer, generously sized bedrooms etc. 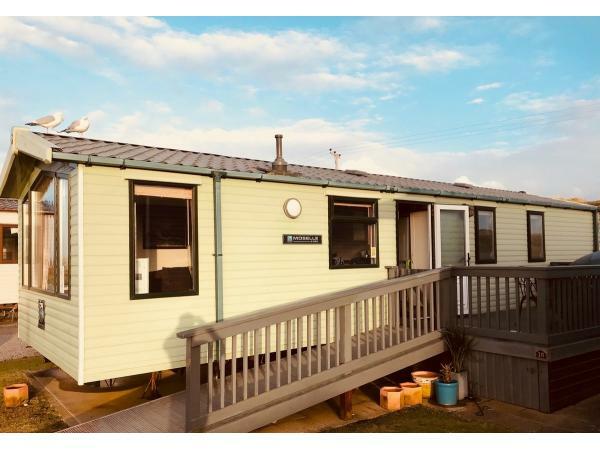 so we remained comfortable and warm as the weather varied (to be expected in March) the caravan was situated really well, within walking distance to the on-site amenities and more importantly, close to the beach. The owners were really friendly and pleasant, welcoming any questions we had about the caravan and offered some good tips around what to do when visiting. 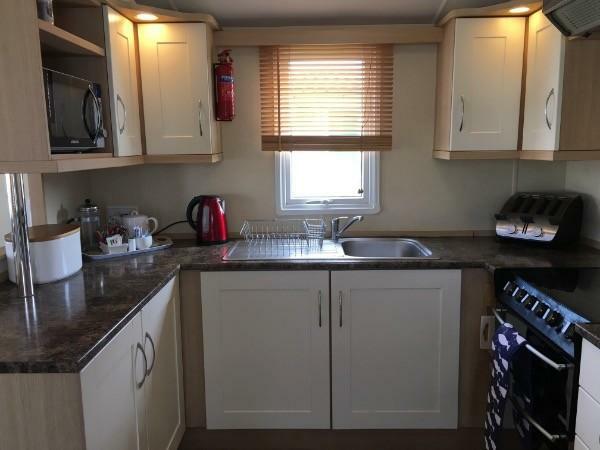 Overall, a fantastic, modern caravan, a real home from home, on a lovely site. We would highly recommend and look forward to booking again in the future. Thank you for a lovely review! We're really glad you enjoyed the caravan and were comfortable despite the weather! You are welcome back any time! 10/10 Loved it! We stayed here with our 2 children (age 6 and 18months). There was plenty of space in the master bedroom for a cot and you could still move around the room easily. The door out back was a huge hit with our daughter as she could run onto the dunes and play safely. When we arrived the caravan looked, felt and smelt clean and fresh, like it was there just for us. The kitchen space was perfect, with all the utensils, pots and pans you'd need. It's lovely and spacious, a real home from home. The location is perfect and the ramp is great if you have a pram / wheelchair. Its under 5 mins walk to the main resort, but far enough away to be secluded. A great location. Perranporth beach is 5 min drive or their is a path down to the beach from the site. After holidaying in a few caravans in recent years, this is by far the most comfortable, warm and homely one we've stayed in. You wont be disappointed. Thanks to the owners, who made the whole experience even better by being available and understanding. Thanks - we'll be back! Thank you for the lovely review, it's great to hear some of the details that you enjoyed at the caravan. You are welcome back anytime! Thanks. We stayed here with our 3 children, one being a 4 month old baby. The caravan was lovely and clean and had everything your heart desires and more. The sky tv was a huge bonus for the children and there were toy's and things for the kids to play with too. It's lovely and spacious, a real home from home. There was plenty of space in the master bedroom for a travel cot and you could still maneuver around the room easily. The location is perfect and the Haven sight has lot's for the children to do as well. You're literally a minutes drive from the beautiful Perranporth or their is a path down to the beach from the site. The owners were lovely, easily contactable and very helpful. We will definitely return here, hopefully in the not too distant future. Thanks for a great holiday! Thanks for the lovely review, we're very glad you enjoyed the caravan and the surrounding area, you are welcome back any time! 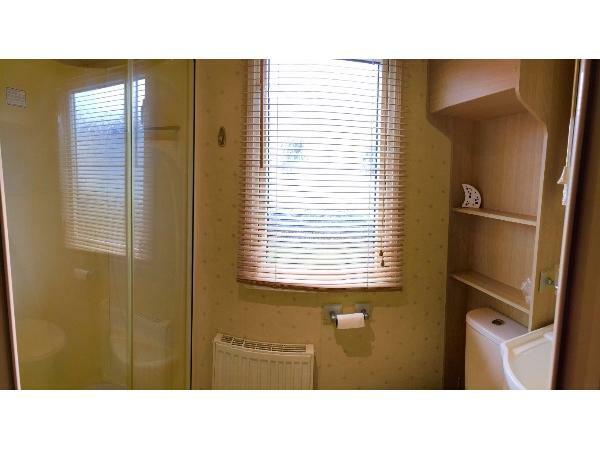 Very clean and spacious caravan a very pleasurable stay,highly recommended. Thank you very much for taking the time to leave a review Evan, we're very glad you enjoyed your stay! We have stayed in this caravan for a few years both at easter and summertime and I would highly recommend it. The caravan is always immaculate on our arrival and the owners cater for all of your needs. There are TVs in both bedrooms, 3d tv in living room, full size fridge freezer, toys for the kids, games, beach equipment, gas barbecue!!!! I could honestly go on, it is definitely home from home. The owners definitely go above and beyond to make your stay enjoyable. Our first online review, thanks Angela. We are always looking at ways to improve your holiday. I hope we can keep guests like you and your wonderful family coming again.